Thanks sooo much for reading my profile! 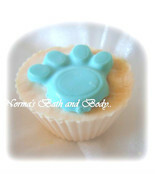 I love making (HANDMADE SOAP AND OTHER HANDMADE BATH PRODUCTS). it's delicious smelling in the land of the bath and body! ********* First of all, I know that some people have SENSITIVE SKIN. So I have tea tree products for problem skin. -No REFUNDS. but free item replace ONE TIME. -if you want to overnight a purchase. I will email you the rates before you complete the purchase! - the turnaround time is up to 3 days, if it's a larger order, allow more time. again... ORDER EARLY! I'm new here, but not new to the bath and body world. 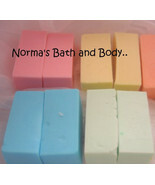 I make luscious bath soaps and more! makes perfect gifts. love making bath products since 2004. and selling all over the US and globally too of of Bonanzle. >>> I LOVE DOING CUSTOM ORDERS.. JUST ASK! If you're in elizabethtown, ky area, tune in to my Radio Commercials on 93.5 in Brandenburg area! 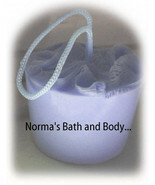 Norma's Bath and Body products are handmade by myself, and it's for the lady who loves to be well pampered. once you use my products you'll see that it's really moisturizing and addictive too. something for everyone will be added. do check back as I'll have a shop loaded full of bath and body goods that you will truly love and appreciate! makes nice gifts all year around. Free Soap Samples w/ all orders! and I welcome large orders, just call me, or email me and I'd be happy to work with you for a discount! >> I also can make anything UNSCENTED due to Sensitive skin. Commercial soaps are not as "clean" as you might think. First of all, commercial soaps contain harmful FD&C dyes, which are known to cause cancer, chromosome damage, hyperactivity, hives, etc. Furthermore, namebrand soaps spend more money on their packaging than the actual soap (not to mention advertising expenses). The naturally-occurring glycerin, a moisturizer, is also removed from commercial soaps (so the bars are harder and longer-lasting). This is why we can't wash our faces with commercial soap, and instead need to now buy an additional product (presumably offered by the same company) to wash our faces. Another danger of store-bought soap is that animal testing is still being used. Commercial soaps that test on animals include: Camay, Ivory, Oil of Olay, and Zest. Possibly even more disturbing is that many namebrand soaps are made with animal by-products (tallow, lard). Not only are these by-products full of toxic growth hormones, but they clog pores. Commercial soaps made with animal by-products: Irish Spring, Dove, Camay, Dial, and Lever 2000. According toÂ FDA/CFSAN.Gov, "Today, there are very few true soaps in the traditional sense on the market...Most body cleansers on the market today are actually synthetic detergent products..." This is why you'll see things in the soap aisle labeled "beauty bars," "deodorant bars," and "antibacterial bars." These chemical mutations masquerading as soap no longer meet the FDA's definition of soap, which is pretty hard to do. And, speaking of the FDA, they do not require the ingredients of true soaps to be disclosed to consumers. To this day, nobody knows what's in Jergen's or Ivory. YUMMY SCENTS THAT I CARRY! pomegrante n' wild cherry - NEW! oatmeal raisin cookie n' apple - NEW! oatmeal milk honey n' chocolate- NEW! Banana chocolate- like a sundae! peppermint and clean cotton - nice! NOTE: I will gladly to Free Product exchanges, no refunds at this time! 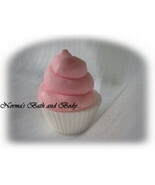 PLEASE VISIT MY BATH AND BODY FORUM.. IT'S NEW! COME IN N' CHAT! We LOVE Norma’s amazing and incredibly great products, her professionalism and just her! 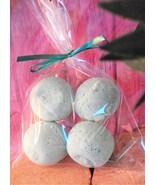 The products she creates are heavenly and make extra special gifts for ones you love! and for yourself, too! 10 Stars Terrific! I’ve bought her wonderful soaps, and body sprays and am a very happy returning customer. I highly recommend Normas Bath and Body for a happy transaction. The fragrance level is perfect, packaged pretty and shipped fast. She will even make your order up to your liking if you wish a special blend of scents. My 13 yr old daughter has acne on her chest and back. 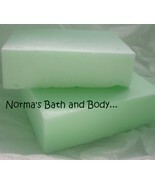 After trying many over the counter products, Normas Bath and Body Tea Tree Oil Acne Soap is the only thing that clears up her acne. I highly reccomend this seller!!! The scents are amazing! I’m very happy with my purchase and I’ll be back for more! Wonderful member of our community! And Norma’s products are absolutely amazing! 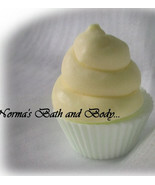 Delicious scented creams and the sugar scrubs are THE BEST that I have come across! Try them – your skin will love you for it! This MONTdorsement kindly reminds our shopping audience on the NET that booth owners’ ( normasbathandbody ) growth for success continues without fail and can only get even bigger and better come 2012. I’ve seen it first-hand and can vouch a second motion! Fantastic seller with fantastic items, you can’t go wrong purchasing from this seller, I highly recommend! Well, there just was not enough room under feedback to say all I wanted to say. I tried the soaps and they are amazing. They lather up quickly and the smell is fantastic. Usually I do not buy specialty items like this, but your booth was just too tempting, a very inviting booth. Thank you very much!! Absolutely wonderful products from a lovely person!! Delicious scents and luscious products! Highly recommend! This lady is A-W-E-S-O-M-E…. she is very dependable. 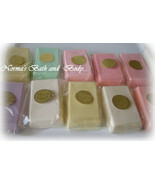 Thrilled with the soap, thick lather and great moisturizing quality. I used 1/3 of the lotion I used to use! Thanks for offering great products! WONDERFUL & Professional Service!! Fast Shipping & Amazing Products!! Thanks Much!! whats so great about Norma. ?.well everything..shes kind and helpful..her delivery service is excellent..love buying from her and having her as a friend on Bonanzle..
I’m very happy with Norma because she is very helpful to others. I will soon be purchasing from her myself for the holidays. I just wrote her about being on her stocking stuffer list and I wasn’t clear about it at first but she immediately wrote me back and I would like to not only thank her but let all of you know that I feel she is the kind of person you can write to about various types of help and she would give it. Thanks so very much!!! Anyone dropping POSiTiVE energY my wAy = definitely deserves my individual PERS0NAL eND0RSEMENT ~ I am delighted to confirm this statement; infact, this artist is even being H0NORED @the promo topics titled: â€œPEOPLE Artist SHOWCASEâ€ for such talented achievementsâ€¦Congrats! Please take a moment to visit membersâ€™ (normasbathandbody) b00tH nextâ€¦MONTR0Se approves this message! VERY GOOD CUSTOMER!!! HIGHLY RECOMMENDED! EASY TO PLEASE! Excellent products! !Great communication. I highly recommend this seller, was an absolute pleasure to work with. I left normal feedback way too fast – Before I tried the tarts – ABSOLUTELY AMAZING!!!! The fragrance of these tiny inexpensive tarts could be smelled through my ENTIRE home – within minutes!!! I am COMPLETELY Impressed not just with her speed in shipping and professional manner in sales but her high quality inexpensive alternative to the pricey candles on the market as well. I will never buy another item of this sort from anyone else as long as I can find her online. Thanks so much -!!!!!!! Norma has wonderful stuff! Great products and good scent selection and very friendly lady. Great seller! 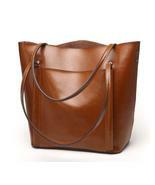 She has terrific items at great prices, and great cust. service! Thanks again! Norma is super to deal with. Her peppermint foot lotion is really nice. You can actually tell the difference after using it. It smells and feels great! A pleasure to deal with! always helpful! Norma is a great asset to Bonanzle. She purchased a banner from me and has been super supportive of me and my booth ever since. And she has awesome products. Imagine the clerk in the grocery line commenting on how pleasant your perfume is. It wasn’t perfume, it was one of Norma’s lotions. Great Products…my daughter loves the soap I bought for her acne condition. Her skin is already starting to clear up and it leaves your skin so soft! I will definitely be buying more in the future! Great communication and so easy to work with. I can’t believe the quality of her products, beyond WONDERFUL!!! A great Bonanzler! Super seller with fast shipping and excellent communication! A+++!